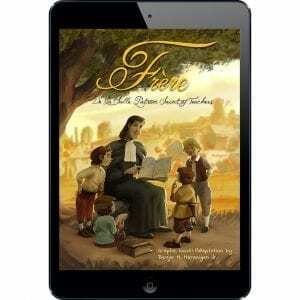 This is a graphic novel on the life of Saint John Baptist de La Salle that was created by De La Salle – College of Saint Benilde in the Philippines. It is based on a cartoon video of the same name, which may be seen HERE. Graphic Novel Adaptation: Benjie M. Marasigan, Jr. This hymn is sung by Brothers and others to honor St. John Baptist de La Salle on celebratory occasions. See the resources for it below. Honneur a Toi was first printed in in Recueil de Cantiques Anciens et Nouveaux (1889 edition). 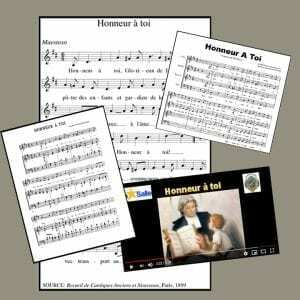 It was one of two hymns composed to mark the beatification of John Baptist de La Salle in 1888: “Honneur a Toi” [Honor to You] and “Veritable Ami de l’Enfance” [True Friend of the Young]. The author of the text of “Veritable” was Brother Idelphus, FSC, a well known translator from Spanish of the poems of Theresa of Avila and John of the Cross. He was chapel master At Passy. And that the composer of the music was Brother Albert des Anges, FSC, successor to Brother Leonce as chapel master at Passy, who authored a large number of hymns and wrote almost all of the accompaniments of the 1889 collection. Both Brothers were commissioned by the superiors to revise the texts and musical settings for the 1889 edition of Recueil de Cantiques Anciens et Nouveaux.